A pair of ripe cherries, from flickr. We have rectified Jim Nabors’ ascendant at to Cancer 10 that gets the epithet of Great Memory from E C Matthews. Astrologer G.K. McClung in his Hyperion symbols says that it is a degree of “ripe cherries on a tree” creating the image of great promise, typically musical, and accomplishment. 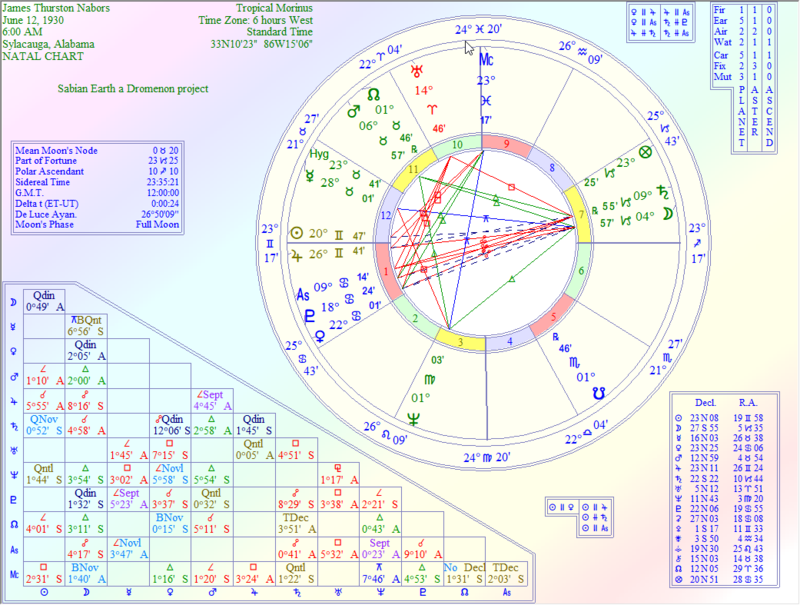 His Sun and Jupiter are conjunct on the First House giving him great luck and a religious tone in his life. This saw culmination in his many religious songs and Christmas tunes (click for Go tell it on the Mountain.) if not in his wide eyed happy depiction of Gomer Pyle, USMC, the ultimate lovable fool. 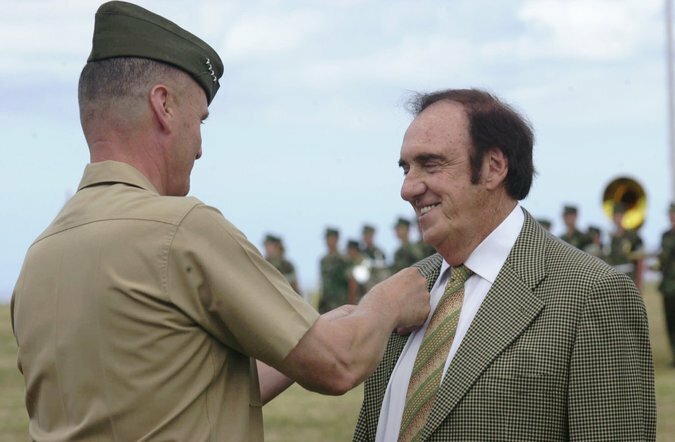 Jim Nabors, and Frank Sutton, on the TV series “Gomer Pyle, U.S.M.C.” Credit Associated Press. Sutton died in 1974 at 50 years of age from cardiac arrest. Nabor’s husband, Stan Cadwallader, confirmed the death. He said that Mr. Nabors’s health had been declining for the past year and that his immune system had been suppressed since he underwent a liver transplant in 1994 having contracted hepatitis B in India when he cut himself shaving with a contaminated straight razor, which he had bought there. Nabors was 87. After earning a degree in business from the University of Alabama, he moved to New York, where he worked as a typist at the United Nations while harboring hopes for a stage career; that did not pan out. Then he moved to Tennessee, where he worked as a film cutter for a Chattanooga television station finally by the end of the 1950s to Tinsel town. Andy Griffith discovered him as a stand up comic in a nightclub along the coast and invited him to audition for the show. First his parts were minor but Gomer Pyle, was a hit. Nabors played a guileless, sweet-natured gas-station attendant in Mayberry, N.C., who uttered the sheepish “gawwwleee” and wide-eyed “shazam!.” The show has been constantly on the air since its initial airing in 1960. I n 1964 on the variety “The Danny Kaye Show” his baritone was unveiled to the public. It was then highlighted on the Gomer show in several episodes. That same year Gomer was spun off into his own series, “Gomer Pyle, U.S.M.C.,” in which Gomer, still bumbling but well meaning, joined the Marines and, tried the patience of his drill sergeant, Vince Carter, played by Frank Sutton. And sometimes he sang, always a religious or patriotic tune. After retiring he spent much of his later years in Hawaii, where he had a home in Honolulu and a 500-acre farm in Hana, off the island of Maui, growing macadamia nuts and tropical flowers. He also had a home in Montana. Jim and Stan at the Fairmont Olympic. He married Mr. Cadwallader, his companion of 38 years, in December 2012 at the Fairmont Olympic Hotel in Seattle, Hawaii News Now reported. “When you’ve been together 38 years, I think you’ve got to solidify something,” he said. “And at my age, it’s probably the best thing to do.” Mr. Nabors was 82 at the time and Mr. Cadwallader was in his sixties. . They met in 1975 when Mr. Cadwallader was a Honolulu fire fighter. We could find little on his spouse. A niece and a nephew also survive him.